The Draper Fisher Jurveston logo was designed to symbolize change. A globe is at the forefront, representing the referenced but uncharted world. The delta in the background symbolizes changing that world through new investments, ideas, and support. Tim likes to think in terms of “cyberspatial” competition. Given an environment of perfect information a new idea or breakthrough will spread throughout the world based on a certain amount of information shared with the world. Today’s companies must build on this established base and continue to build a new base to reestablish authority. Venture capital firms like funding companies with competition because competition keeps a small company on its toes always fighting to create that new base reference. 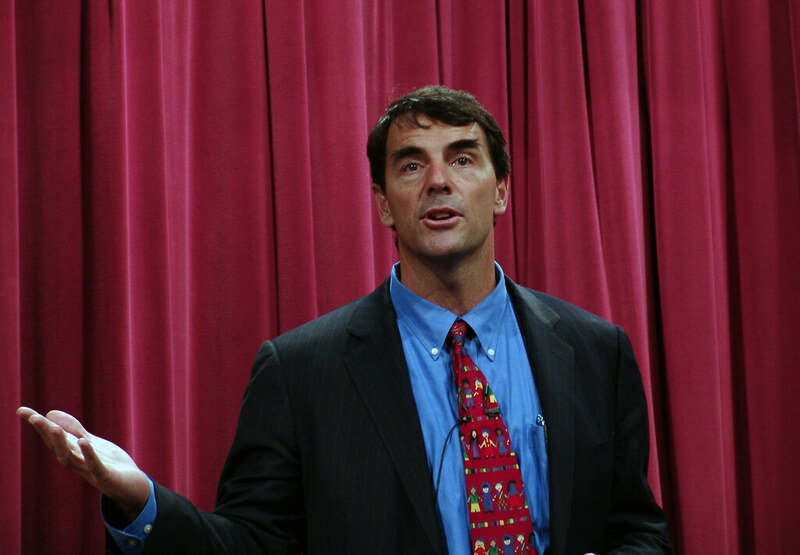 Tim Draper is credited with inventing the term “viral marketing” in 1997 with Hotmail and continues to invest in viral companies like Skype. There were some interesting statements about the boom of the late 1990s. When money is cheap, Tim said it makes sense for a startup to burn through that money to gain market share, knowing that money will not always be so cheap and market share is of course a zero-sum game. Tim originally thought the economy following the .com crash of the late 1990s would throw us into a depression similar to the late 1920s. The big difference in the recent depression was the existence of women in the workforce. If one out of two workers in a couple lost their job they could conserve their consumption and persevere. Disclosure: Draper Fisher Jurveston is an investor in Technorati, my current employer, and Andreas Stavropoulos sits on Technorati’s board of directors. This relationship did not affect the content of this post.